Happy Monday friends!! Today I am so excited to share a fun collaboration I am a part of with WALMART! Walmart has always been one of my all time favorite retailers whether it be to grab groceries, baby supplies, cosmetics or clothing! When I was young I would BEG my parents to take me to Walmart to shop with the money I had earned from working and I still have a Pooh bear watch with bees buzzing around and a little bookbag that I literally worked for for weeks to purchase! As the years have progressed Walmart is still a place I love to shop! Today I am so excited to share about the We Dress America campaign that Walmart has just launched where they are celebrating fashion for ALL! Today I am sharing a personal look the I have gotten from Walmart and why it depicts MY personal style and personality! 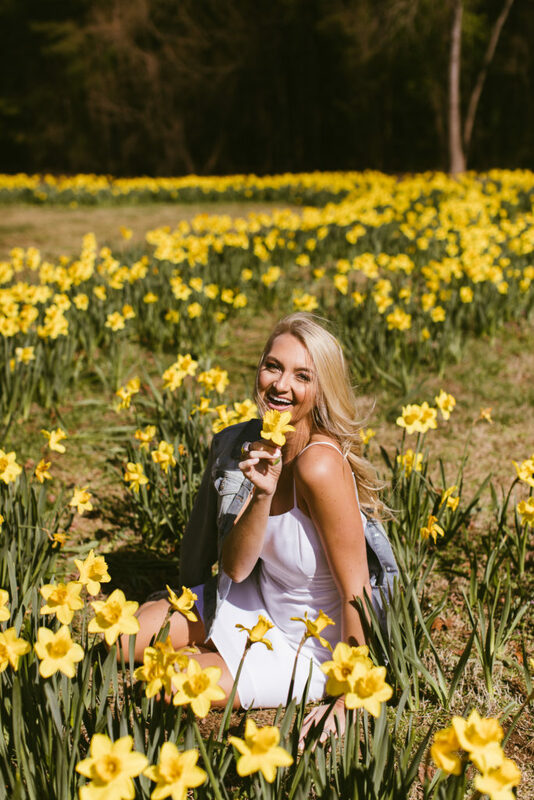 These photos were taken at Dorothea Dix Park in the beautiful daffodil field here in Raleigh, NC! 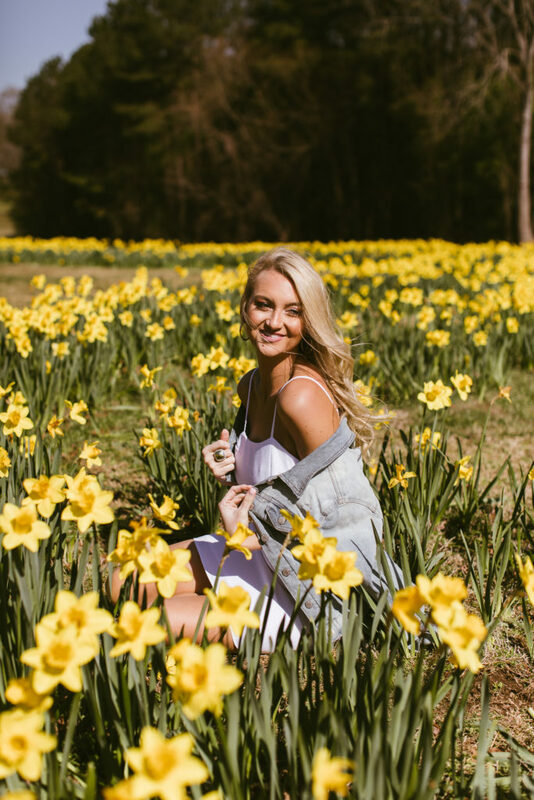 Every year Dorothea Dix park is one of my absolute favorite places to visit because there are these fields have daffodils in the spring and then other fields that have scouring sunflowers in the summer. I love to go and just enjoy time with friends and family in such a beautiful space! Today’s look is simple and classic! I would define my personal style as trendy yet feminine and that is the look I went for when I was picking some of the fun new arrivals at Walmart! This little Love Sadie cami dress is the cutest little cami mini dress that is so easy to throw on and layer! It reminds me of one that I wanted when I was in high school and I love that some of the 90’s/early 2000’s fashion is BACK!! This dress is ONLY $18.98 and such a steal (it also comes in more colors!) I paired it with my CLOSET STAPLE this Time & Tru denim jacket that is also only $18.98! This jacket feels and looks just like the quality of my over $100 versions and it will quickly become your closet staple! You honestly can never have too many denim jackets in my book and this one is so comfy and I love the wash of it! I finished this look off with the cutest wedge by Circus by Sam Edelman that is only $65! These wedges are so precious and I love the blue stripes! I also found another Circus by Sam Edelman wedge that is basically the same/similar, but in a solid and comes in a few other colors HERE! You all have got to check out the amazing new collections Walmart is featuring for their We Dress America campaign! They have romantic styles, utility inspired, bold stripes, pastels and MORE! They literally have something for every style and at prices you won’t believe! I have a quick little shop the post below where all you have to do is click on the item and it will take you right to Walmart to purchase! ** Thank you to Walmart for sponsoring today’s post!